The Lithanium High Performance Carp was created in close collaboration with our match experts in Holland. 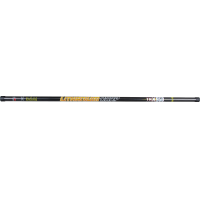 This high quality carbon pole meets the requirements of even the most critical and demanding angler. The perfect action and the light weight make every fishing session highly enjoyable. We also offer, separately, a kit for the three tip sections – in case something happened to them.